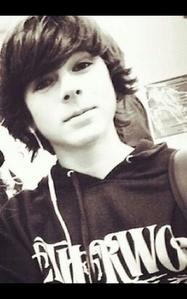 Is chandler Riggs hot or not??!!! in my opinion, i wouldn't say "hot". i would say cute or some what likable. im not a fan-girl but i watch twd all the time. i don't "like like" him bc for me and some girls u would get to know the person first. I think Chandler is hot,and I have never met him before. Yes he is but I'm not in for the looks, I'm in for the personality and the looks.